Jana is an accomplished visual artist and interior decorator whose passion is applying her unique talents to homes and workplaces. Known for her dynamic style, Jana works with her clients to create timeless and inspiring environments. Currently based out of Los Angeles, but born and raised in Boston, Jana’s aesthetic is informed by the traditional, yet influenced by the sunshine, colors and materials of the multi-cultural West Coast. You can find Jana creating fabulous and functional primary residences and vacation homes for our clients from New England to L.A. and even the coasts of Mexico. In the design process, Jana is known for her excellent communication skills, thoughtful adherence to time and budget management and precision detail orientation. Jana Design Interiors (JDI) outcomes are tailor-made for you, your family and/or your company. As passionate interior decorators and designers, our mission is to inspire creativity! Supporting our clients’ needs while developing a design scheme that will stand the test of time and fulfilling our clients goals for their spaces while nurturing their vision for their lives. 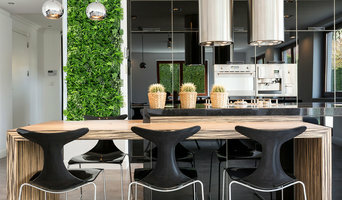 Gorgeous, livable interiors and water wise landscapes are the result our of work, but behind all that is the years of experience and learning to know how and why these systems work. We are more than DEZINE, but we are knowledgeable about Energy efficiency, water conservation, building/green building techniques, technology integration and more. Hire us because you see all that we brig to the table, not just because of the pretty pictures.